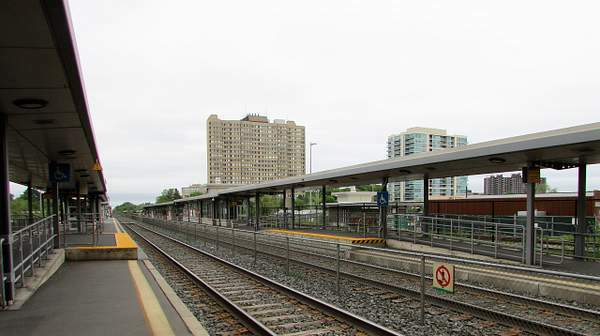 GO has several stations on the Milton Line (CP Galt Sub) in northwest Mississauga. 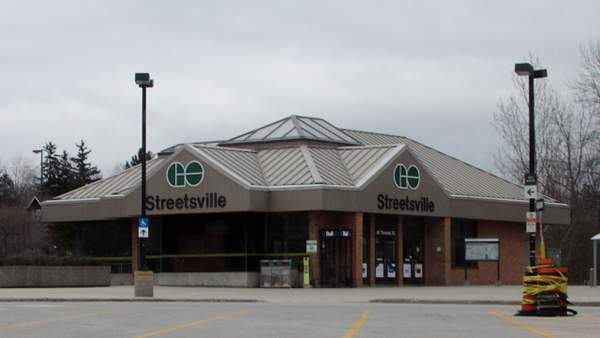 Streetsville is at Thomas Street . 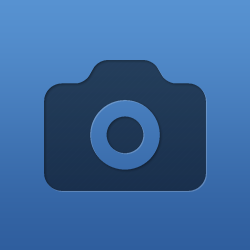 Milton Line - Meadowvale . 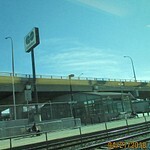 The next of the three northwest Mississauga stops is Meadowvale. Meadowvale Village is nearby and gave its name to a large housing development that was statrd in the 1970's. 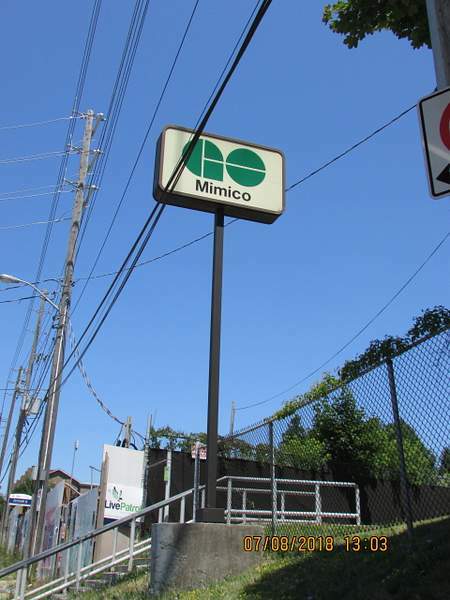 Mimico is the 2nd stop west of Union on the Lakeshore West GO line. 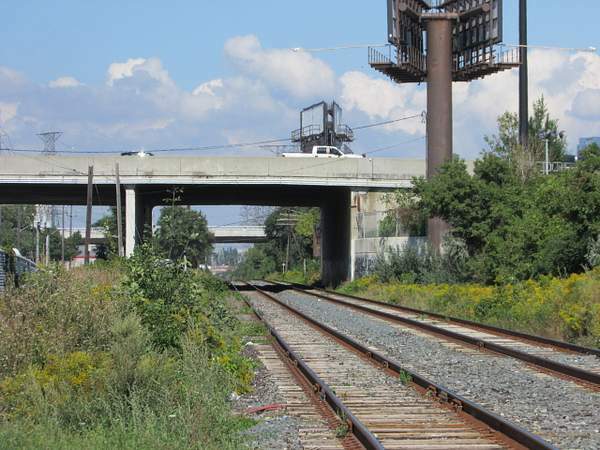 The massive Willowbrook maintenance yards are nearby. 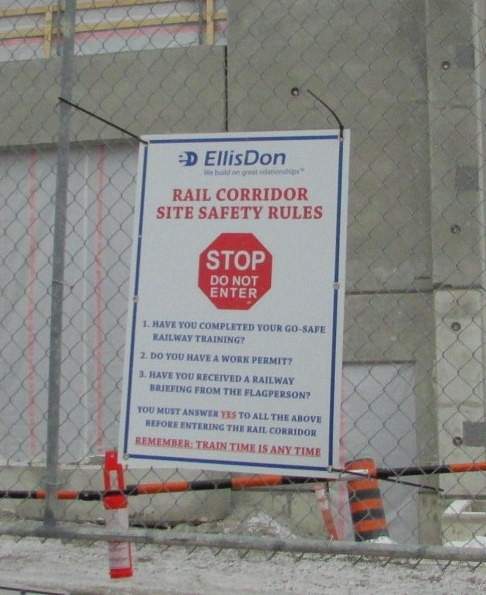 Seen at the Cooksville GO worksite. Far northwest corner of Mississauga, Mile 25.2 on CP Galt Sub. 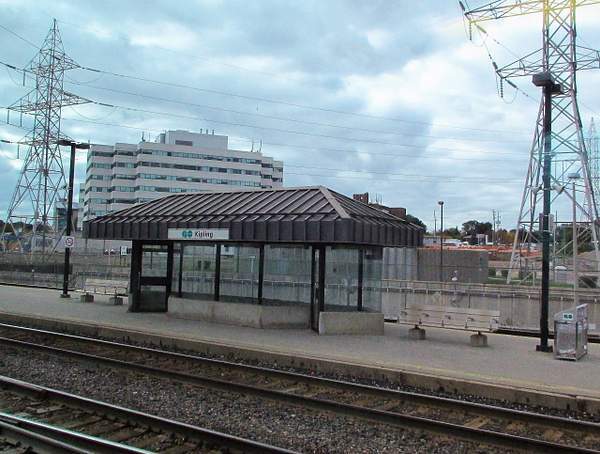 This is GO's Milton Corridor and Lisgar is the second last stop before Milton. 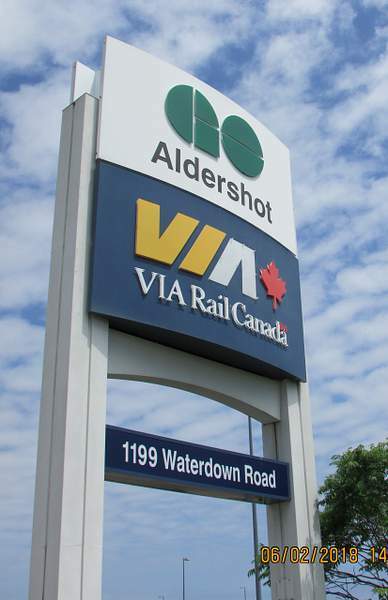 Aldershot is a key location on the GO/CN network. 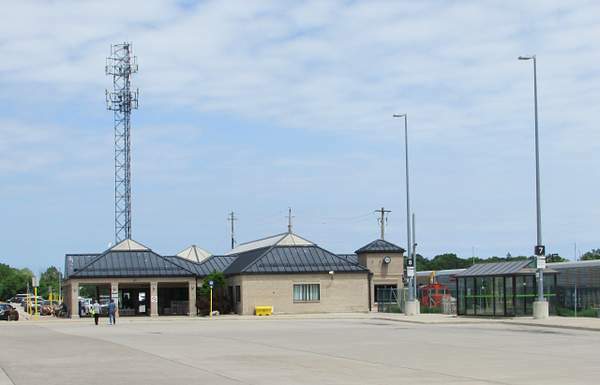 Located in Burlington, it is the effective western end of the GO Lakeshore Line. 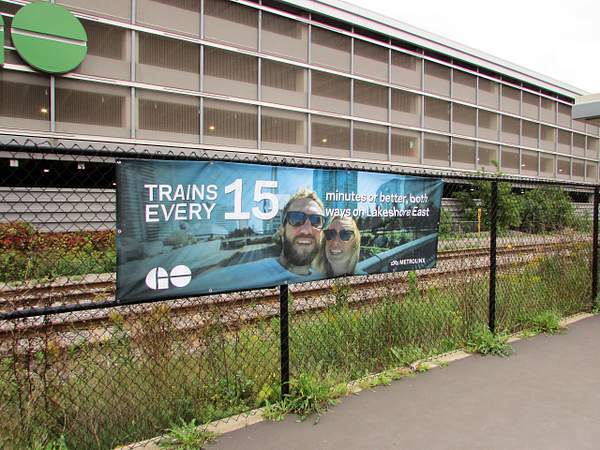 Hamilton has two stations but they only receive train service on weekday rush hours with GO buses the rest of the time. 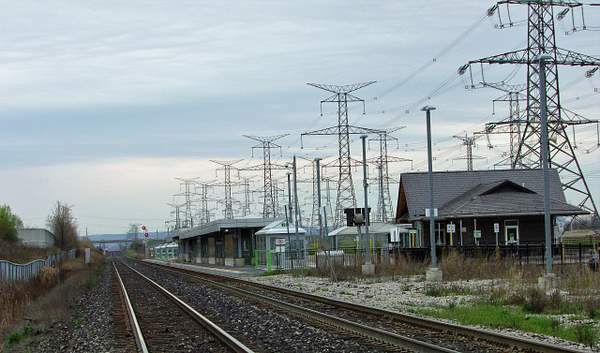 It is also a key yard for CN where lines from Buffalo and Chicago meet before peeling onto the Halton sub at Burlington. 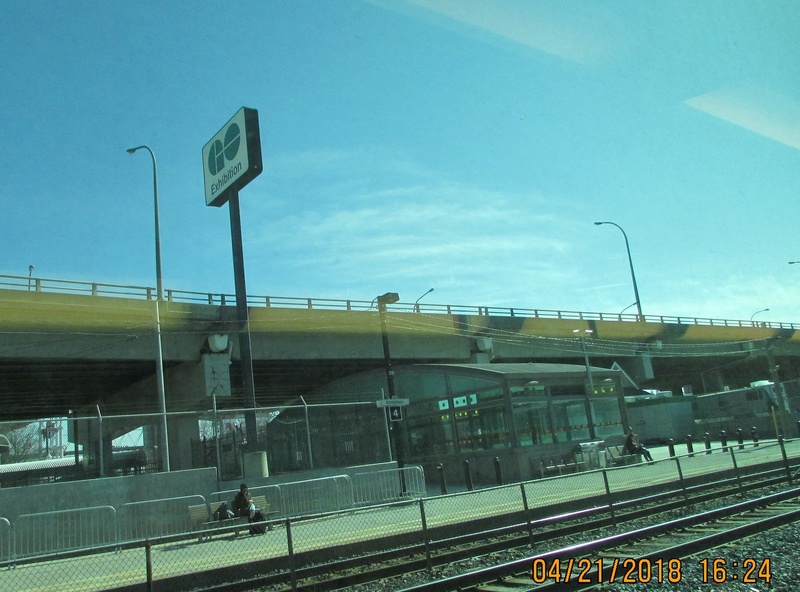 Finally, it is the VIA rail station for Hamilton handling trains to and from south western Ontario. 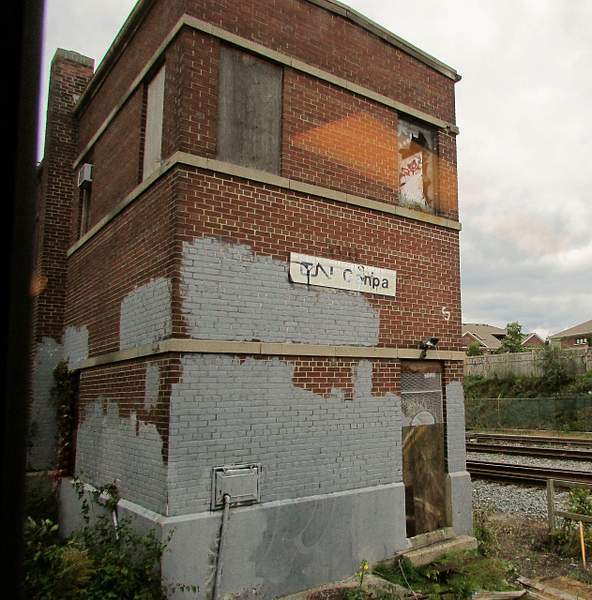 Old Canpa tower seen from a GO train on the Canpa Connector detour. 2 miles west of Union Station this is the first stop on the Lakeshore West Line. 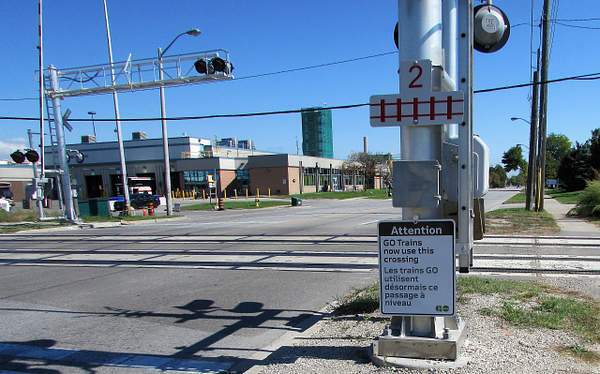 Originally in use only during events at Exhibition Place trains now stop to serve the "Liberty Village" district of Toronto. 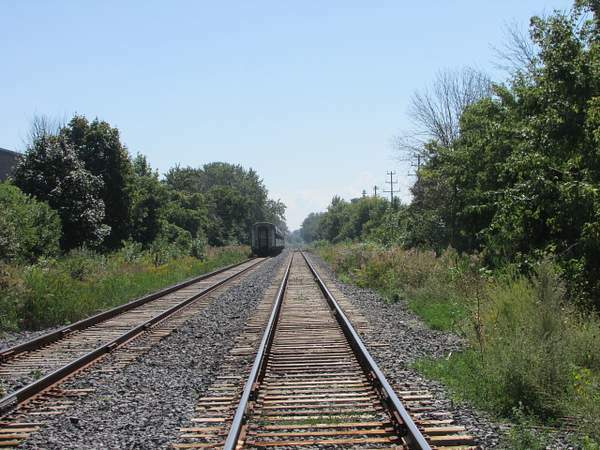 There are two buildings at the Clarkson GO http:// one on each side of the tracks. 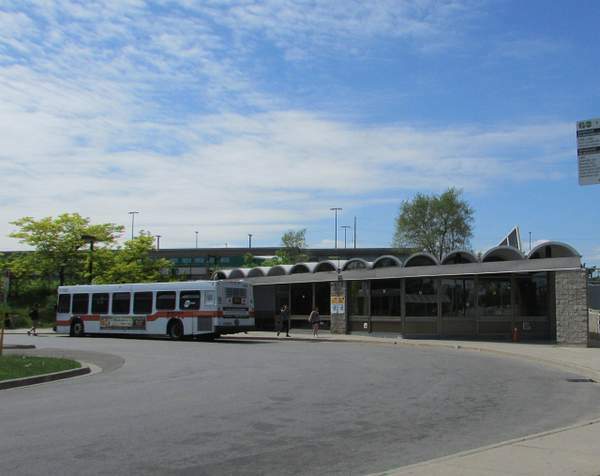 The north building is a waiting room only and this one is the south buildings where there are ticket sales and a lunch http:// Thie Mississauga Transit Clarkson bus loop is in front of the south building. Lakeshore Route 23 is seen in the picture. 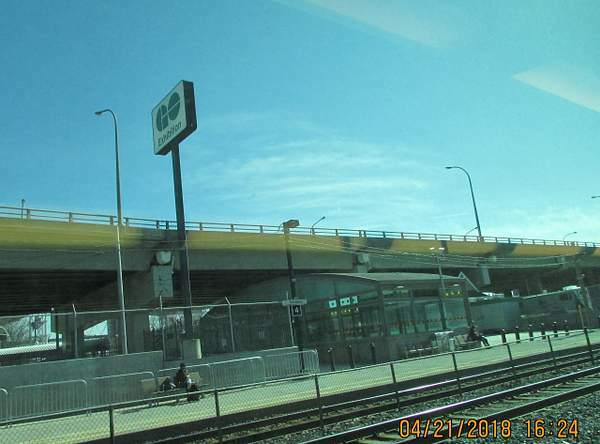 The multistory garage for commuter parking with a sign advertising the increase of number of trains on the Lakeshore line. A sign at the Evans Avenue level crossing on the Canpa Connector warning that the tracks are active with train traffic. Kipling is a . GO stop in middle Etobicoke on the CP Galt sub. Passengers can connect here with the TTC Line 1 Bloor Danforth subway. 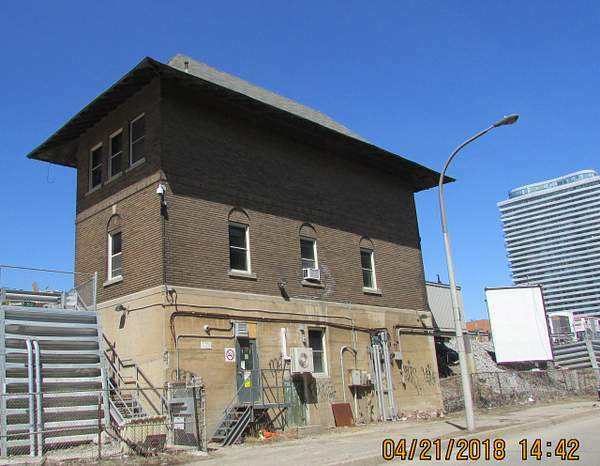 The Scott Street Tower holds some of the 1930's vintage switching equipment that controls the tracks and switches around Union Station.